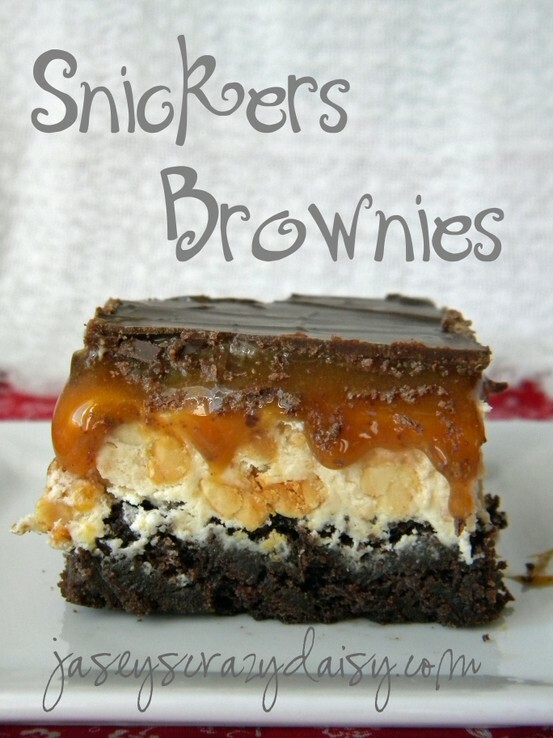 I thought brownies sounded good but Snickers Brownies? Those sound even better! I know you want some now too, head on over to Jasey’s Crazy Daisy for the complete recipe! Hello! 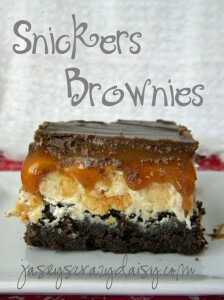 I am so glad you like my brownies! I am super excited to check out your place! I need some dinner ideas that are easy on the pocket book! Do you have many for people with allergies?